NOTE: Please be aware that the “Asperger Syndrome” diagnosis was eliminated from the American Psychiatric Association’s Diagnostic Manual of Mental Disorders, 5th Edition (DSM-V) that was released in 2013. Since then, Asperger Syndrome is captured under the broad term Autism Spectrum Disorder (ASD). The content of our site remains current and relevant for those that either retain the Asperger Syndrome or High-Functioning Autism diagnosis. Asperger Syndrome is a neurological condition resulting in a group of social and behavioral symptoms. It is part of a category of conditions called Autism Spectrum Disorders, though the revised DSM-V leaves Asperger Syndrome out of it’s manuel and places the symptoms under Autism Spectrum Disorder(s) or pervasive developmental disorder not otherwise specified,” or PDD-NOS. The name, Asperger Syndrome is still used among the community as there has not otherwise been a name to specifically fit the diagnosis. Children with Asperger Syndrome usually have normal to above normal intelligence and do not have the language problems typical of autism. It can lead to difficulty interacting socially, repeat behaviors, and clumsiness. The noticable difference between High Functioning Autism and Aspergers Syndrome is in the early ability of speech. Children diagnosed with High Functioning Autism are typically non-verbal until the age of 4 while those diagnosed with Asperger Syndrome have an unusual ability to form ‘big’ words by age three giving them the titled of ‘ the little professors syndrome’. By age 6, both High-Functioning Autism and Asperger Syndrome are treated much the same both with parallel conditions throughout adulthood. Asperger Syndrome is a pervasive developmental disorder (PDD) or autism spectrum disorder (ASD). The main difference between Asperger Syndrome and autistic disorder is that children with Asperger Syndrome do not have speech or cognitive delays. 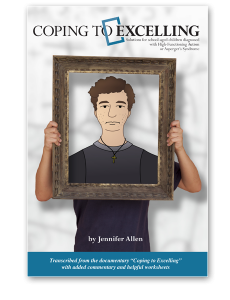 Aspergers101 produced a low-budget but extremely credible overview of High-Functioning Autism and Asperger Syndrome titled: Coping to Excelling: Solutions for School-Age Children Diagnosed with High Functioning Autism or Asperger Syndrome. My Asperger’s Child is a blog that highlights how parents can best cope with children who have Asperger’s Syndrome and best accommodate for the specific needs associate with it. A resource designed to support organizations and programs that work with families of children and youth with disabilities. We offer a range of information and services on the subject of assistive and instructional technologies. Website for the first global employment service by people on the spectrum for all people on the autistic spectrum. The major center in the United States for research on Asperger’s Syndrome is at Yale University. 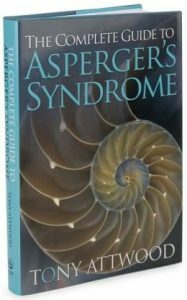 Read about their general research on this topic or go directly to the Asperger’s Syndrome page. The mission of the PACER (Parent Advocacy Coalition for Educational Rights) Center is to expand opportunities and enhance the quality of life of children and young adults with disabilities and their families, based on the concept of parents helping parents. A ListServ allows you to join an on-going e-mail “chat” on a specific topic. This particular ListServ consists of a group of parents discussing IEP-related issues. A non-profit organization dedicated to educating parents and physicians about the early warning signs of autism and other developmental disorders in early childhood. A nonprofit organization dedicated to providing information and advice to families of More advanced individuals with Autism, Asperger’s syndrome, and Pervasive developmental disorder (PDD). Through its quarterly newsletter, The Maap, the organization provides the opportunity for parents and professionals to network with others in similar circumstances and to learn about more advanced individuals within the autism spectrum. A support list for kids with neurological disorders, as well as, kids who have siblings with neurological disorders. This is a safe place for kids to seek support, or just make friends and talk about kid stuff. The list is moderated by the mother of a child with Asperger’s’s Syndrome.